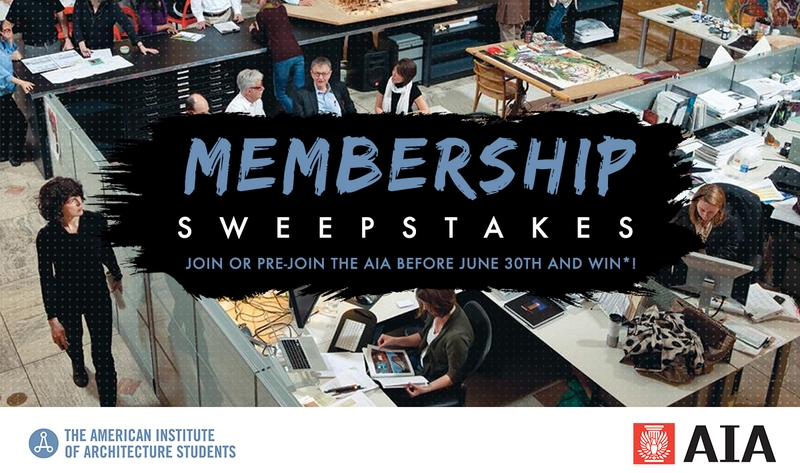 AIAS > News > Uncategorized > Join or Pre-Join the AIA before June 30th and Win*! Join or Pre-Join the AIA before June 30th and Win*! How do you plan to advocate and connect with the profession after AIAS? Have you considered joining the American Institute of Architects? If you responded yes to the last question, then NOW is the time to join. The AIA has more benefits than ever before for young professionals and if you join or pre-join today, you’ll be entered in a drawing to win an Apple Watch. If you’ve recently graduated with a professional degree in architecture between 2017 and 2018 you may also be eligible for up to 18 months free membership upon graduation. Interested in what an Associate AIA membership could do for your career? Learn more here. Join or pre-join the AIA before June 30th, 2018 to be entered into the AIAS sweepstakes for the Apple Watch.